Edwardian postcard by F.G.O. Stuart of The Terrace, Osborne House, I. Of. 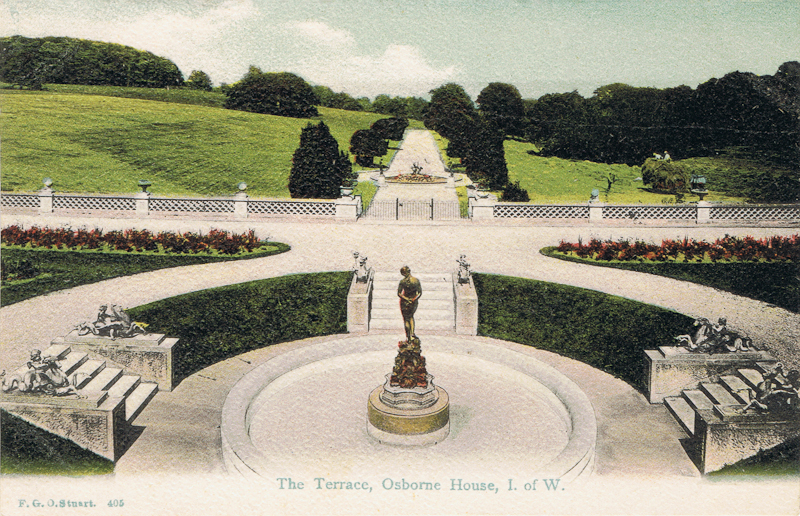 W.
The Terrace, Osborne House, I. Of. W.
One of many cards Stuart produced of Osborne House. Feedback for 405 - The Terrace, Osborne House, I. Of. W.